After a turbulent few years, the Spanish real estate market has bounced back, with demand for apartments and villas growing more robust. The Spanish market was hard-hit by the recession, with prices hitting an all-time low in 2012. 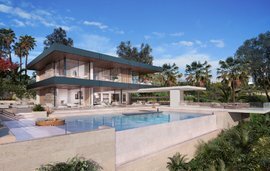 As soon as investors realised that prices could not drop any further, the market started slowly picking up and by 2013, prices began to stabilise and even rise slightly in the most desirable areas of Spain, such as luxury coastal destination, Marbella (and nearby towns such as Estepona and Sotogrande). New constructions are in progress after a long hiatus, signalling a restored confidence by purchasers and investors. 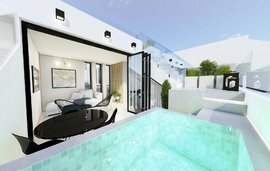 Buyers can take their pick from a variety of villas,country houses, apartments, penthouses, studios and plots. Whether you are after a luxury seaside villa on the Costa del Sol or a quirky apartment in the heart of a big city like Madrid or Barcelona, you will find your perfect match in Spain. While the centre of Madrid and Barcelona mainly comprise apartment type dwellings, trendy areas on the outskirts of these cities, such as Pozuelo de Alarcon, boast gated luxury urbanisations by acclaimed architects such as Joaquin Torres. 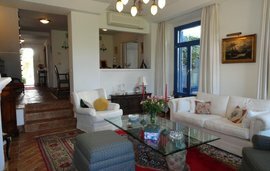 In the South of Spain, Marbella (in Malaga) is a revered destination for those seeking to invest or own a second home in Spain. Architects like Juan Antonio Fernández Pérez have changed the landscape of the seaside city, with majestic villas located just a few minutes from luxury port, Puerto Banús, and the refurbishment of areas adjacent to apartment blocks (such as the San Pedro Boulevard, featuring a plethora of children’s parks, coffee shops, walkways, etc.). 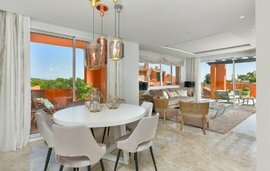 International buyers tend to make their real estate purchases in Marbella itself, or in nearby coastal areas like Estepona, Sotogrande and (beyond Málaga) in the province of Cadiz. Holiday home insurance provider, Schofields, has ranked Catalonia the best place to purchase a home, owing to burgeoning tourism figures and high rental rates. 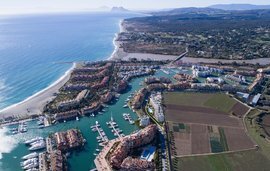 In the south of Spain, Marbella, famed for its luxury seaside villas, is also enjoying steady recovery, with new constructions ensuring that the price of existing apartments and villas remains competitive. The current market in Marbella is no longer as price-focused as it was in 2012, but purchases are still dependent on competitive pricing. Similar trends can be observed in Sotogrande and Cadiz. Spain’s property registrar society notes that foreign nationals bought 12.2% of residential properties in the first quarter of 2015. High-end homes (€500.000 and higher) are primarily purchased by international buyers (mainly from the UK and Scandinavia). The ‘Golden Visa” scheme, launched in 2013, offers residency to all those who invest more than €500,000 in real estate, in an aim to attract investors from Russia, China and the Middle East as well. Prices hit rock bottom in 2012, stabilised in 2013 and have enjoyed slow growth since then in the most hotly solicited regions, but the Global Property Guide indicates that in Spain as a whole prices are still falling. During the year to end-June 2015, house prices dropped 3.56%, up from a 3.03% decline in May 2014. The Bank of Spain has published more optimistic figures: during the end-Qi 2015, real estate prices dropped only 0.1%. As far as price bands go, the largest percentage of homes (25%) are selling at between 50K and 100K; similar percentages of homes are being offered at between 150K and 250K (24%) and 100K and 150K (21%). Some 9% of homes are sold at 250K-350K; 8% at under 50K; and 5% at 350K-500K, ad 500K-one million, respectively. Only 2% of homes are sold for over 1 million. If you are buying a new home, you will have to pay VAT and Stamp Duty. VAT (known as IVA in Spain) stands at 10% of the purchase price of residential villas and apartments, and 21% for plots of land and commercial properties. In the Canary Islands, the VAT stands at 4.5%. If you are buying a resale home from a private individual, you will have to pay a transfer tax (the rate varies according to region, varying slightly from 7%). If you are not a resident in Spain, you will need to withhold 3% of the purchase price and pay this amount to the tax department. To keep things simple, it is advisable to carry out all transactions through a lawyer, who will charge you around 1% of the purchase price. You will also need to allow for Notary fees, property registration fees, mortgage opening fees and the cost of a survey, if required. If you pay via banker’s cheque there is likely to be a charge of 0.5% of its amount. Real estate prices vary greatly from region to region in Spain, which is why we strongly recommend seeking the advice of our experienced and knowledgeable team at Winkworth International Spanish office. Register with us, so you can enjoy first refusal on new and the most interesting homes that become available. We can make the buying process much easier for you, by assisting you with viewings, offers, mortgages, conveyancing and general advice. 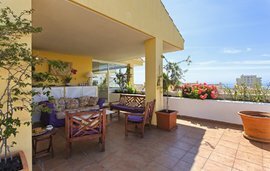 Interested in selling or letting in Spain?